The Breastest News: Can You Help Fife Zoo? Can You Help Fife Zoo? Would you like to be part of something very exciting!? 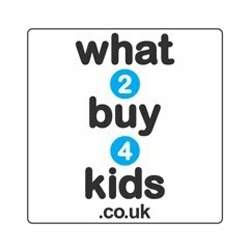 Something that could be such a valuable resource on many levels right here in Fife! You would! That’s amazing. Let me explain to you exactly what you can get involved with here. I’m talking Fife Zoo to be precise. Some of you in my age bracket *cough* might remember an animal park near Cupar. That was closed a good few years ago however after a rocky start the lovely Briony and Michael managed to acquire the sight and have been working tirelessly to plan and develop a zoo from scratch. As you can imagine, the construction of a modern zoo is a huge project and the guys and gals at Fife Zoo have had a few delays along the way. They’ve been working constantly with teams of volunteers and local people to develop the site as a new home for endangered species, as well as surveying and improving the habitats on site for native wildlife - including BioBlitz projects and building insect hotels, renovations and demolitions. You might be thinking “well where do I come in?” but it’s so super easy for you to get involved with building this fantastic new zoo by simply donating towards the #CrowdfundFifeZoo campaign. 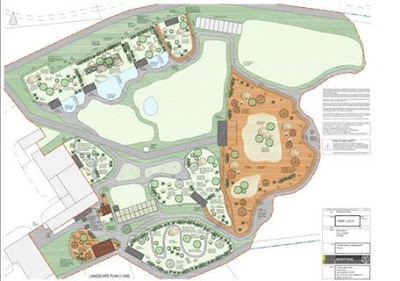 Fife Zoo have already created a lovely café, play park and soft play centre onsite to help generate revenue however they would love your help to create new, purpose-built, natural habitats for their animals. The plan is to include mixed species exhibits and walkthrough and immersive exhibits, whereby visitors can become immersed in a series of mini-safaris, with people and animals brought together in the same habitat. The zoo will be split into geographic zones, allowing people to explore a variety of habitats, from the African savannah to Asian rainforests and the South American Pantanal. It honestly all sounds like an amazing adventure to me and how fantastic would it be to have our very own zoo right here in Fife! The café, play park and soft play which Fife Zoo currently provide are pretty great but having an actual zoo added to the mix would be the icing on the cake. As a Fifer I know we’re pretty loyal creatures so if you can spare a few pennies to get behind this project then I’m sure you won’t regret it. To entice you further to help with the project Fife Zoo are offering some lovely rewards for all donations made to the cause. 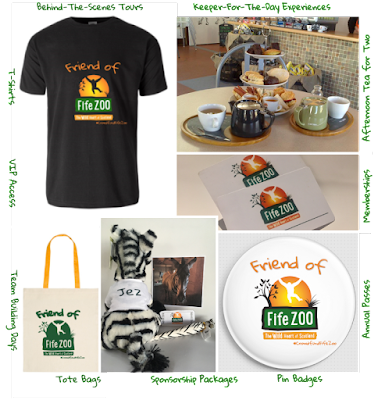 Some examples of goodies to be had are; afternoon tea for two in Africafe, Friend of Fife Zoo t-shirt, 1 Year Pass to Sloth Play (soft play centre onsite), Sponsor Marty or Jez the Zebra, Annual Membership, Sponsor and Exhibit, become a Keeper for the Day and so much more. Just to go into a little bit of detail around the sponsorships. If you sponsor one of the Zebras you get a cuddly Marty or Jez the zebra, zebra pen, signed photograph of Marty or Jez, a plaque on the zebra house, two free admission tickets to come and visit them and more. How awesome a birthday gift would this make! Fife Zoo are trying their hardest to do everything in their power to make the best little zoo in Scotland. They has such a brilliant attitude towards the environment around them too and have already won a Silver Award from Green Tourism. They’re basically almost 100% waste free and recycle everything they can. Even the packing they use for food and drinks in Africafe can be put in the compost recycling bin. 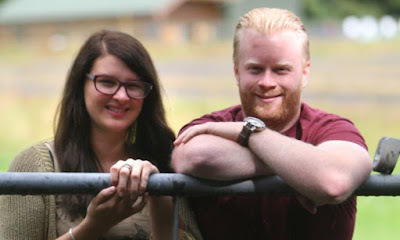 Briony and Michael have plans to become members of the British and Irish Association of Zoos and Aquariums (BIAZA) and the European Association of Zoos and Aquaria (EAZA). This will allow them to become members of all of the breeding programmes for animals living at the zoo, as well as making sure they get the best care and husbandry and be part of a huge variety of field conservation projects! So far, they’ve had no funding for the zoo. Everything done has been funded by Briony and Michael, the Africafé and Sloth Play. It honestly amazes me that Fife Zoo has had no funding and has been built by the hard graft of two young entrepreneurs. It really goes to show the hard work and dedicated these individuals have towards their zoo. Anyway enough of my waffling. If you can help towards the building of this fantastic little zoo then please donate straight away on their crowd funding page. And spread they word! Sharing is caring. 8 comments on "Can You Help Fife Zoo?" So lovely of you to raise awareness!